It’s reached tipping point at Chelsea it seems, and momentum is building towards what seems like an inevitable exit for Maurizio Sarri. One of the sure signs that the S is about to hit the F is that players start leaking things and doing what they can to increase pressure on their manager. 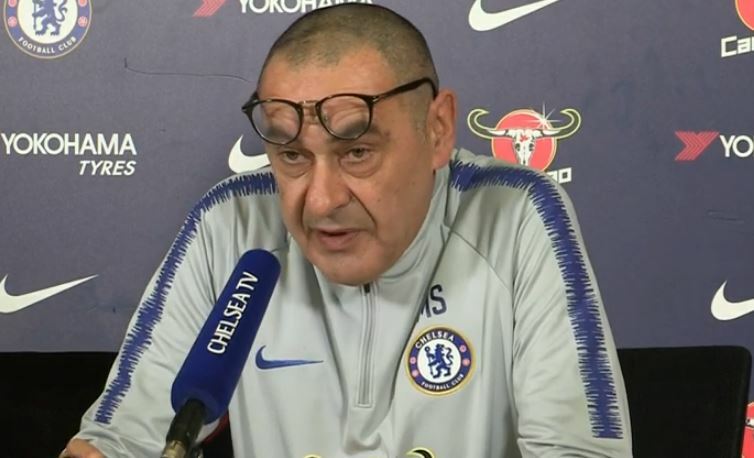 That appears to have kicked off in earnest this week, with AS in Spain carrying a red hot report from within the dressing room that says that Chelsea’s players have been unhappy with Sarri for months now, and that the coach’s “hours at the club are numbered”. Of course the players can’t sack him themselves, but what they can do is pressure the board by intimating they’ll leave. It’s a textbook move, and one that an unnamed player has pulled in this reports, which cites him as having told his agent to find him a new club if Sarri is still there this summer. Things can move very quickly from this point, and we wouldn’t be surprised to see a new man in the dugout by Easter in all honesty. There’s time to turn things round, but not much.